Adding to the successful launch of the Kinetic pant in 2017, Propper has added shorts and shirts to round out the Kinetic Collection. The Kinetic® Collection is designed to keep you moving forward, ahead, in pursuit of your goals. 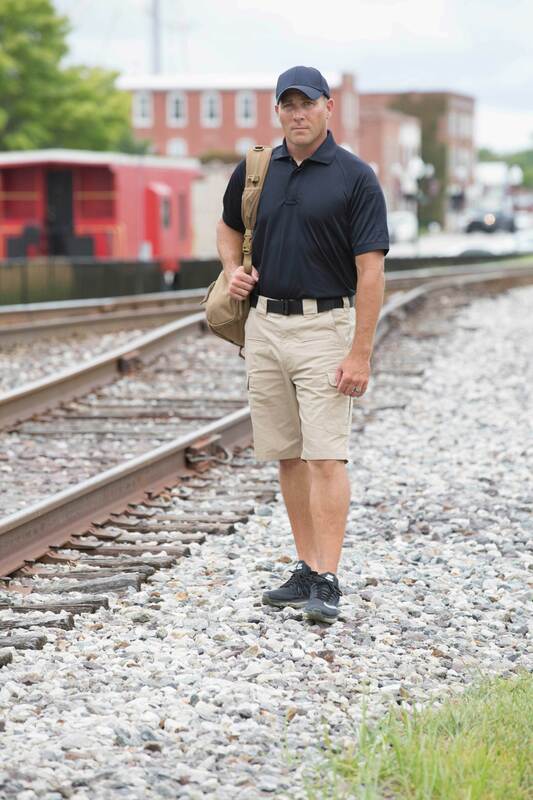 The addition of the Kinetic® shirts and shorts are a perfect complement to the original pant. Building on the success of the modern and comfortable, go-anywhere-do-anything Kinetic® pant launched in 2017, Propper International has expanded the Kinetic line to include new shirts and shorts. Built with revolutionary NEXStretch™ two-way mechanical stretch fabric, the Kinetic Collection is designed to keep you moving forward, ahead, in pursuit of your goals. Kinetic includes men’s and women’s pants in six colors, men’s and women’s shirts in four colors, and men’s shorts in four colors. All pants, shirts, and shorts are treated with durable water repellent (DWR) to ward off stains and dirt. Propper Kinetic® Collection: Potential Unleashed! Propper Kinetic® Collection: Potential Unleashed! The Kinetic® Collection is built with revolutionary NEXStretch™ two-way mechanical stretch fabric.